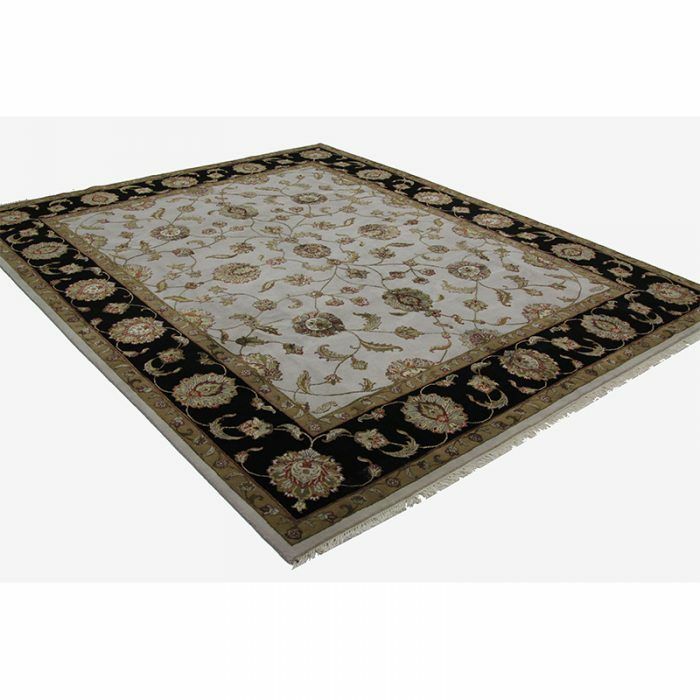 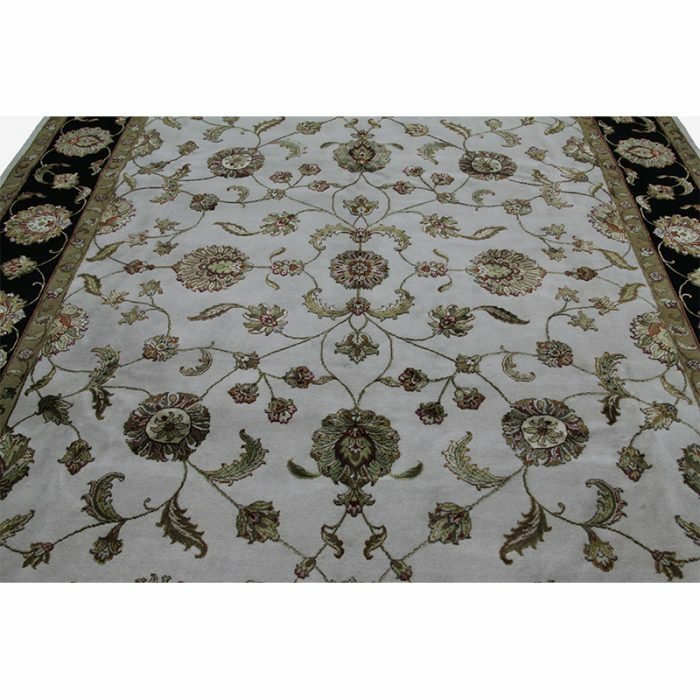 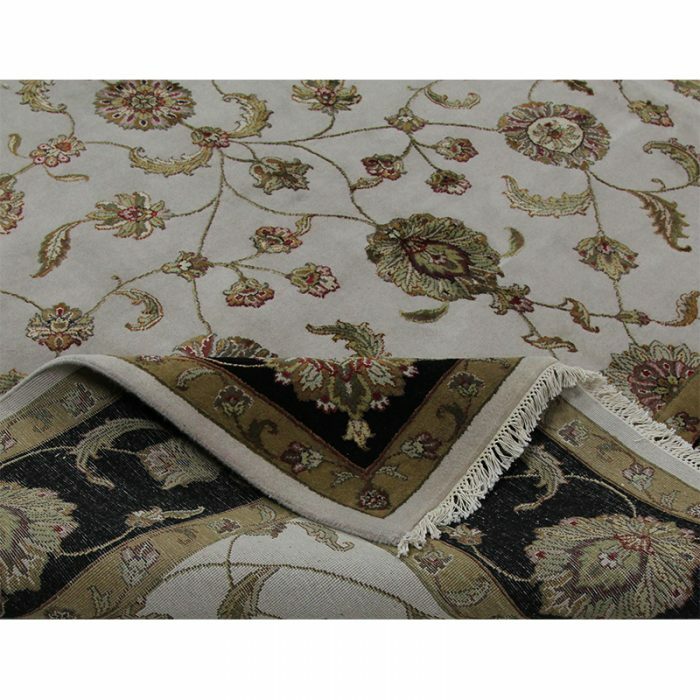 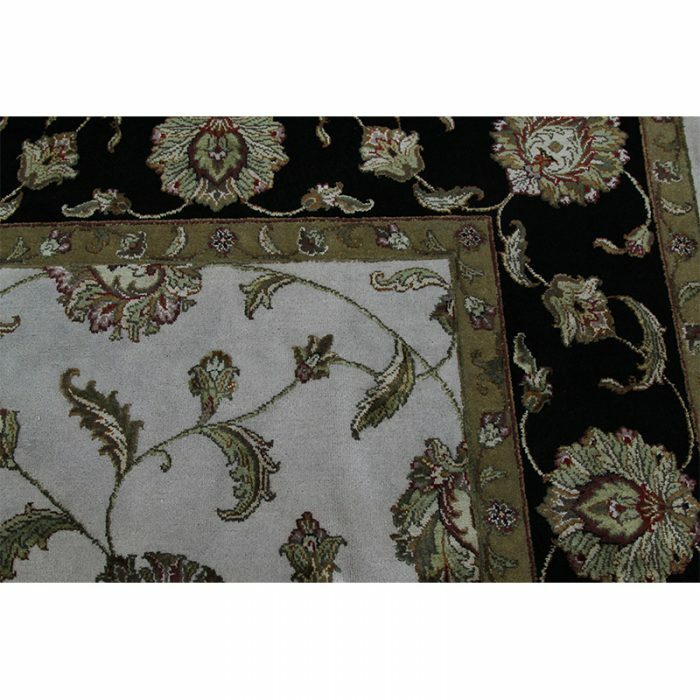 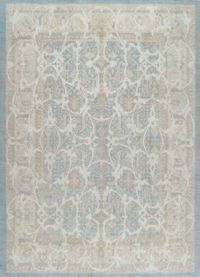 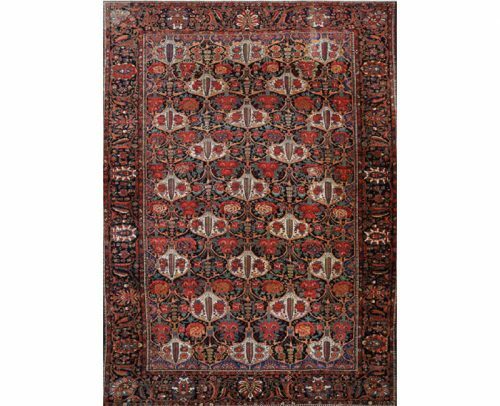 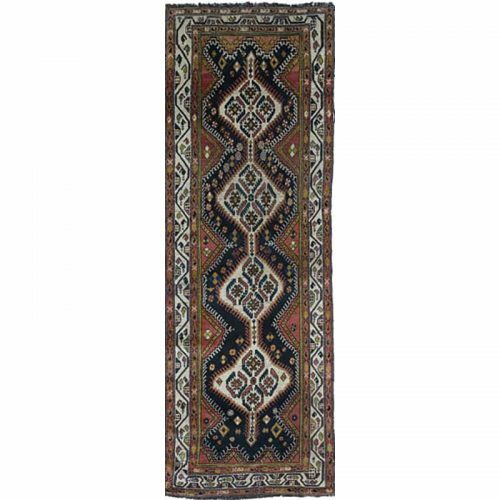 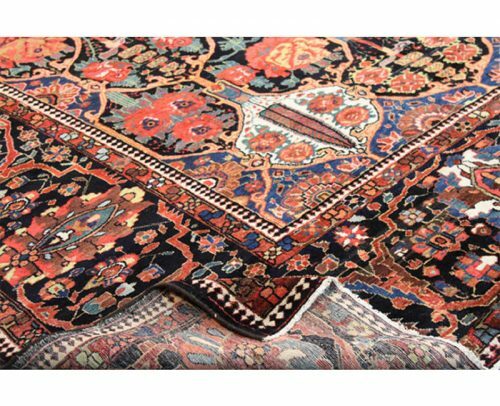 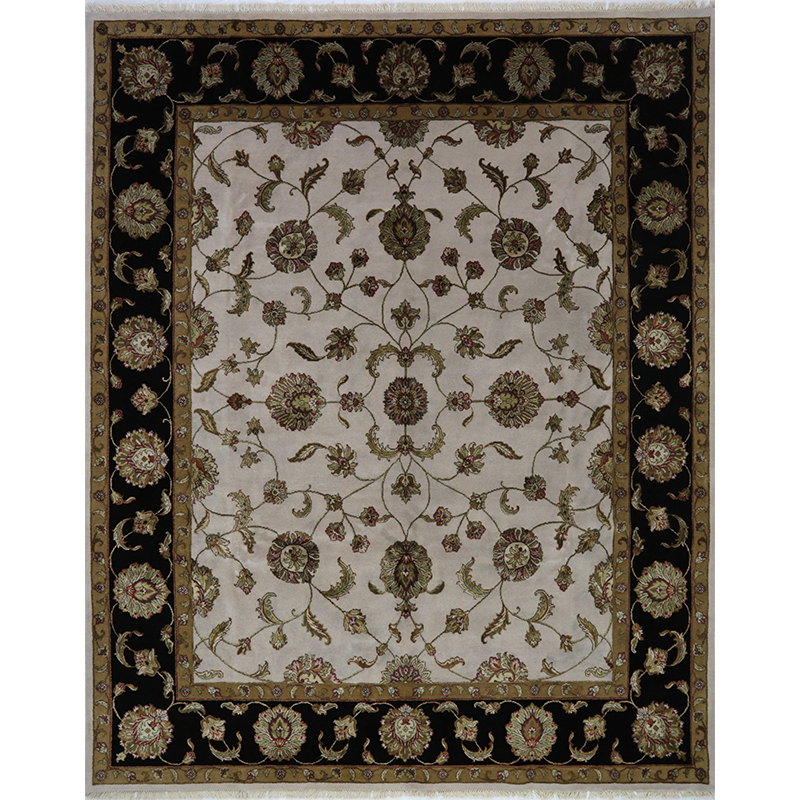 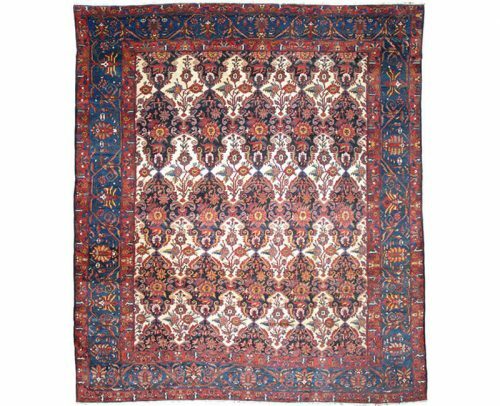 Traditional Hand-woven Persian Tabriz Style Indo Rug from RenCollection Rugs – This traditional hand-woven Tabriz style Indo rug features an intricately rendered allover design embellished with a beautiful sculpted (raised texture) botanical arabesque in art silk. 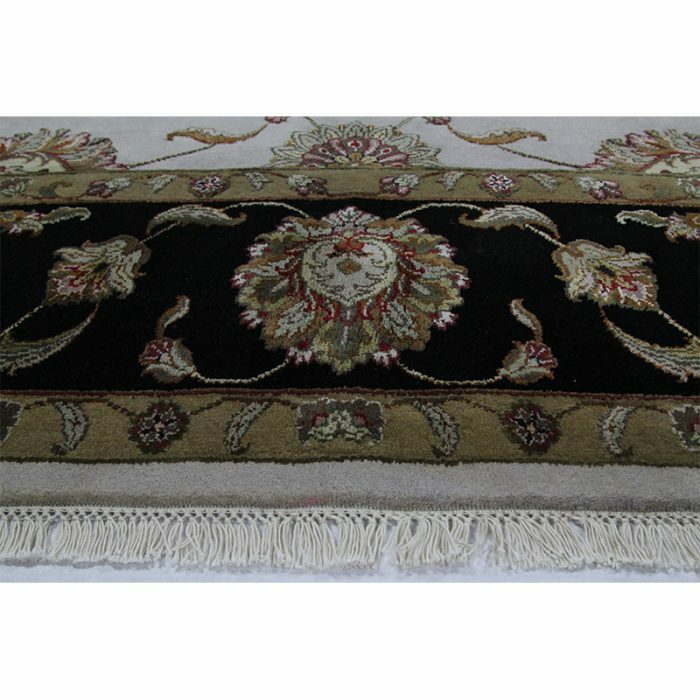 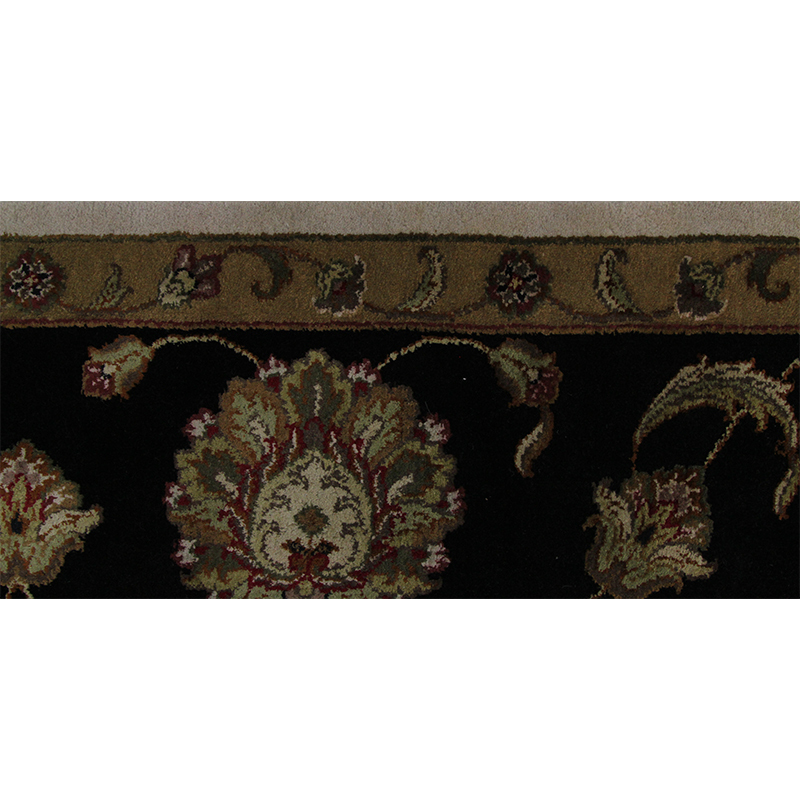 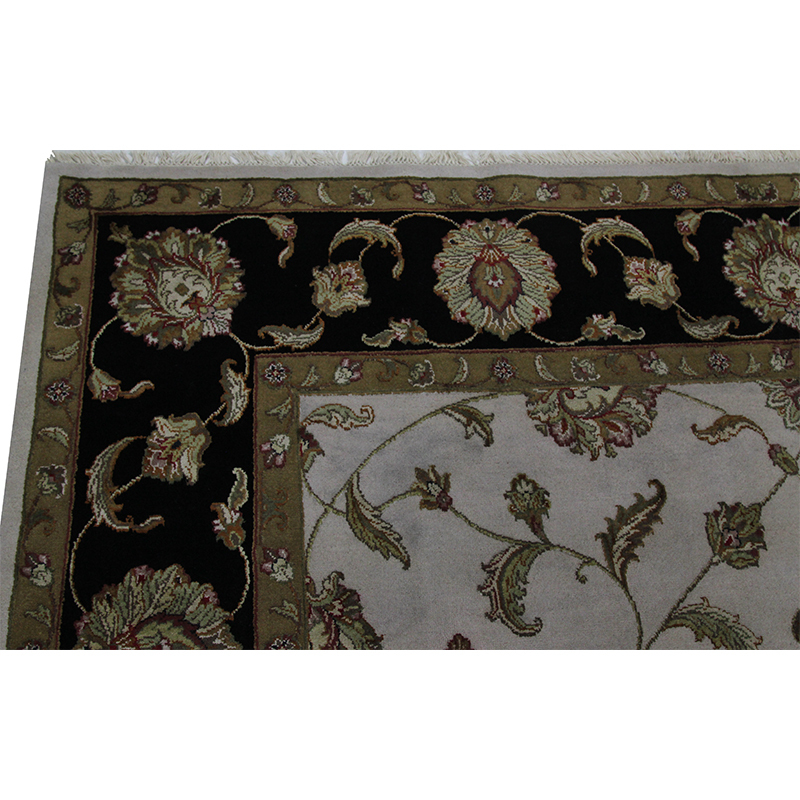 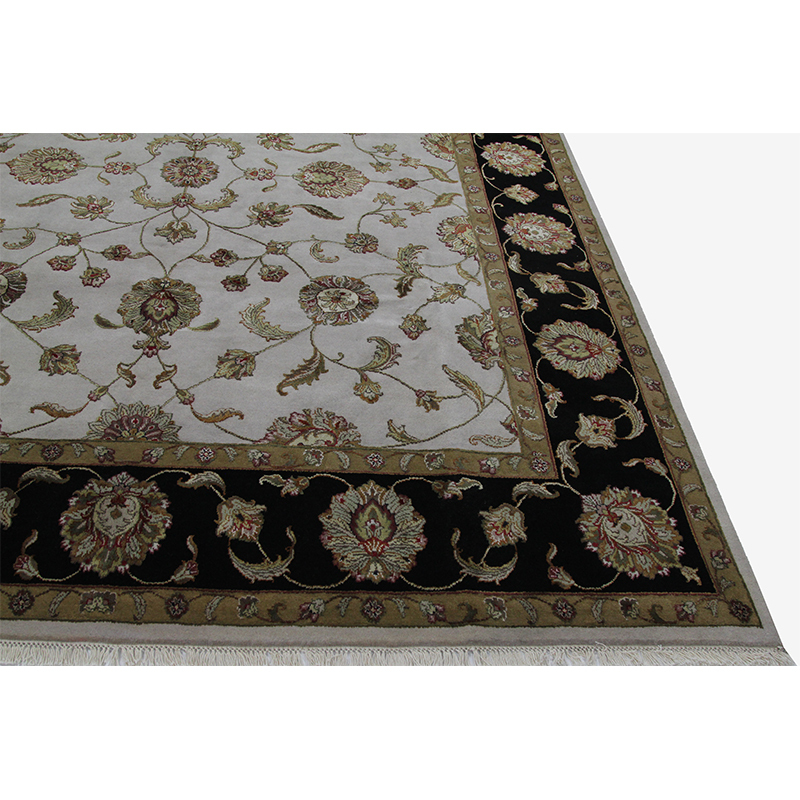 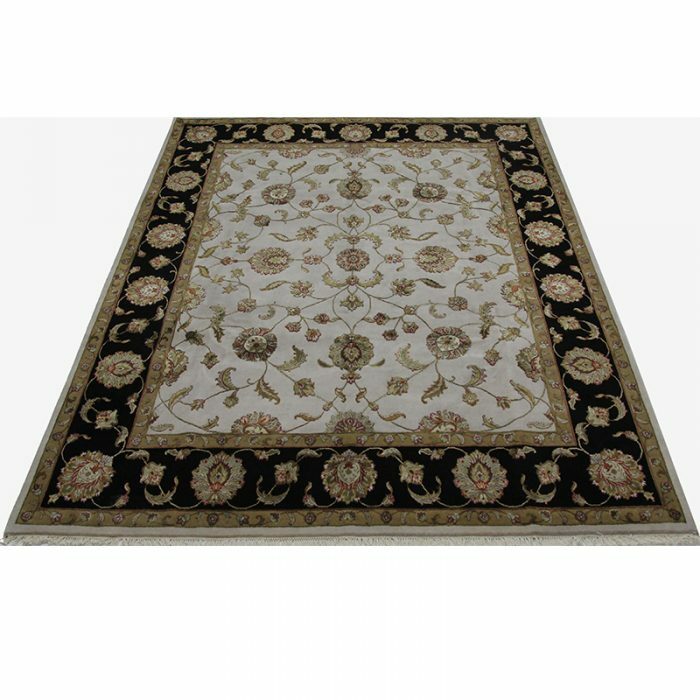 The luxurious ivory-colored field is elegantly enclosed with a similarly nuanced border of black. 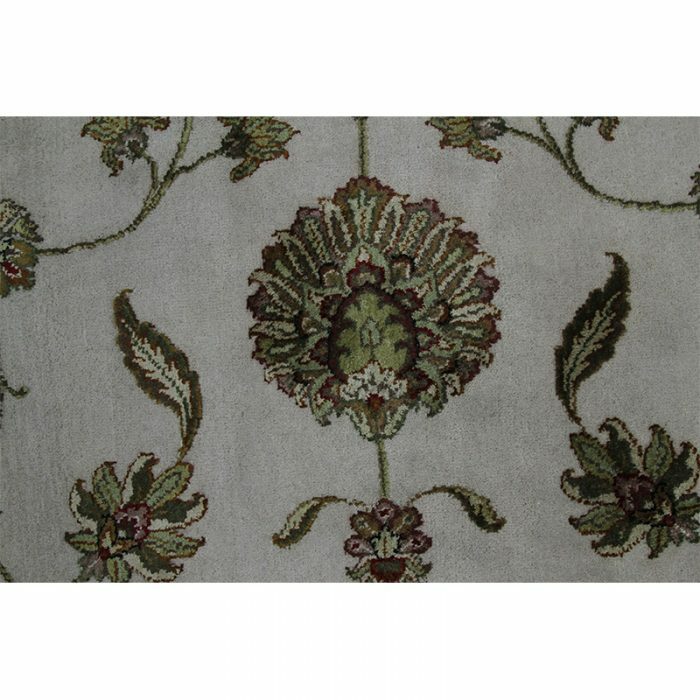 Accented in shades of rust, green, olive, gold, light brown, and ivory. 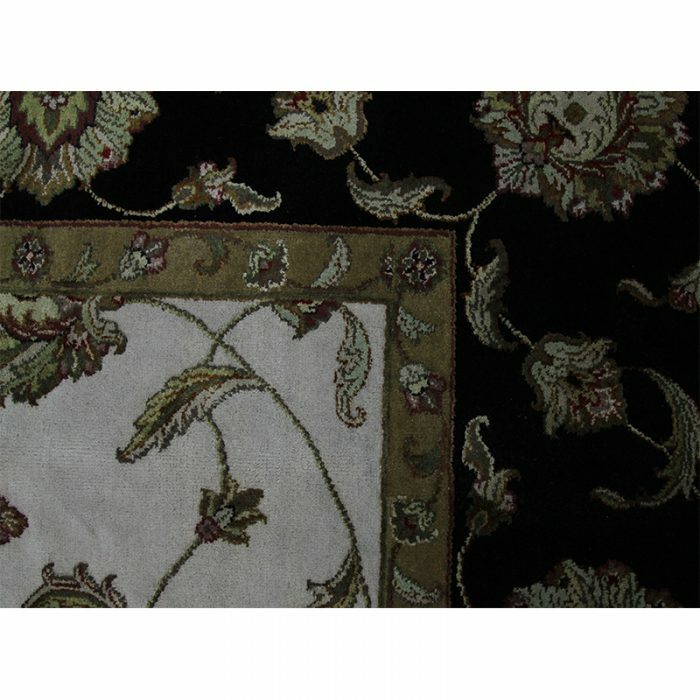 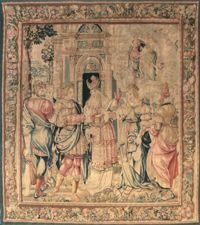 Created from 100% wool and art silk by the artisans of India.